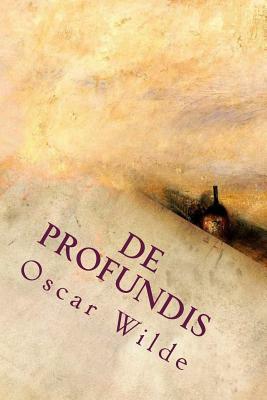 De Profundis (Latin: "from the depths") is an epistle written by Oscar Wilde during his imprisonment in Reading Gaol, to Lord Alfred Douglas. Oscar Fingal O'Flahertie Wills Wilde (October 16, 1854 - November 30, 1900) was an Irish playwright, novelist, poet, and short story writer. Known for his barbed wit, he was one of the most successful playwrights of late Victorian London, and one of the greatest celebrities of his day. As the result of a famous trial, he suffered a dramatic downfall and was imprisoned for two years of hard labour after being convicted of the offence of "gross indecency." The scholar H. Montgomery Hyde suggests this term implies homosexual acts not amounting to buggery in British legislation of the time. Source: Wikipedia.